Is Your School’s Website ADA Compliant? Schools and organizations should ensure their website is accessible to people with disabilities. But when it comes to ADA compliance, there are a lot of questions around what that means. How does your Independent School website stack up? 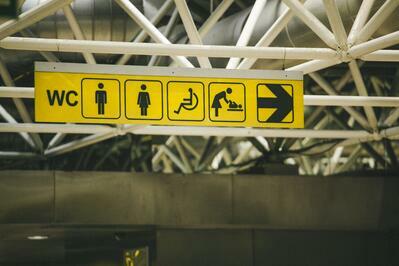 If you are unsure if your website is ADA Compliant, Enroll Media Group can provide a thorough accessibility health-check, followed by a 2-month consultation to get you on the path to compliance. Under the Americans with Disabilities Act and the January 2017 update of Section 508, schools are required by law to ensure that websites are accessible to people with disabilities. However, schools have been given little guidance as to what this means and how to go about it. Web Content Accessibility Guidelines (WCAG) 2.0, developed by the World Wide Web Consortium (W3C), have become a widely accepted technical standard for accessibility. How do I know if my school’s site is compliant or not? If you do not know if you are ADA compliant and your school does not have an accessibility statement on your website, there is a good chance you are not in compliance. What happens if I’m not in compliance? If your school website does not meet the Americans with Disabilities Act (ADA) compliance standards, you could end up being investigated by the Office of Civil Rights (OCR). The OCR has the right to enforce your compliance and it could lead to a lawsuit. In other words, this is a legal mess you should avoid whenever possible. It also means there are people having difficulty doing the very thing you want them to do – access your website for the information they need! Who is Enroll Media Group and what is your role in helping? We specialize in helping schools achieve growth in digital marketing, which includes improving a school’s most important marketing asset – their website! Web Accessibility is a large part of this work, not just from a legal standpoint, but from a growth standpoint. You will have a dedicated team of SEOs and ADA compliance specialists who work with independent schools and nonprofit organizations on ADA compliance. Currently, the total cost is $7,500 which includes an ADA compliance health-check complete with an implementation checklist, consultation, guidance, and measurement plan. At Enroll Media Group, we thrive on the success of our clients. Here's what they have to say about their experience collaborating with EMG. Angie and Jake are best-in-class experts in their field. They revamped our entire digital marketing strategy so that it's in line with our enrollment goals, and we've seen dramatic results. They’re true partners. Enroll Media Group offers a holistic approach to digital marketing strategy, and the Hockaday School has seen positive growth. We are finding new methods of reaching relevant families, and I am thrilled with our continued partnership! Enroll Media Group has helped our school achieve and surpass goals through digital marketing. Angie’s guidance on best practices through digital marketing solutions has been essential to our entire enrollment team. Most importantly, their customer service is top-notch. Fill out one of the forms on this page to receive a personal contact from a member of the EMG team to get on the right footing with ADA compliance. From there, we will schedule time to discuss how we can help.